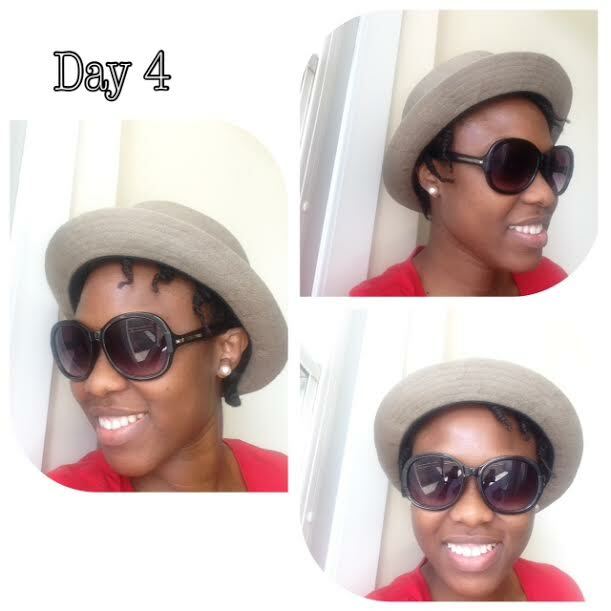 I survived a week's natural hair challenge! 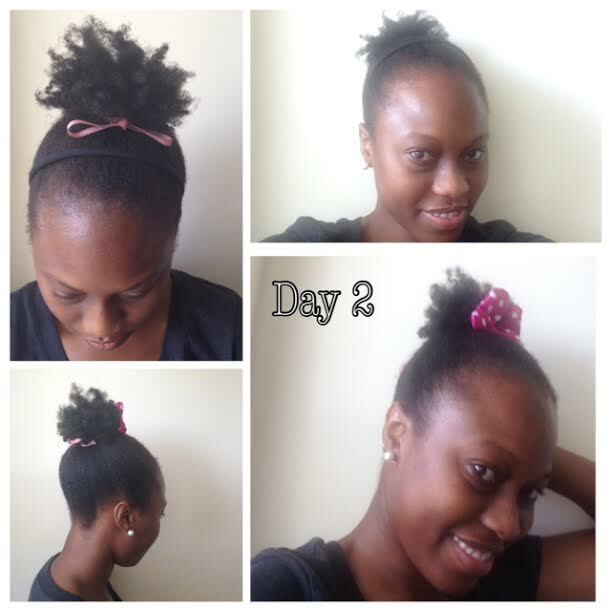 I survived a week’s natural hair challenge! I’ve been natural for almost two years now. I call the above style: The ‘Let Your Hair Down’. 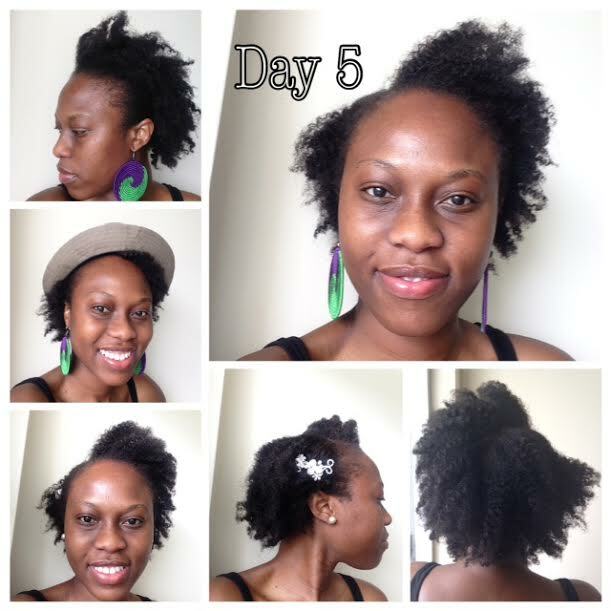 My hair was texturized (prior to my natural hair journey), shoulder length and healthy. I loved it. 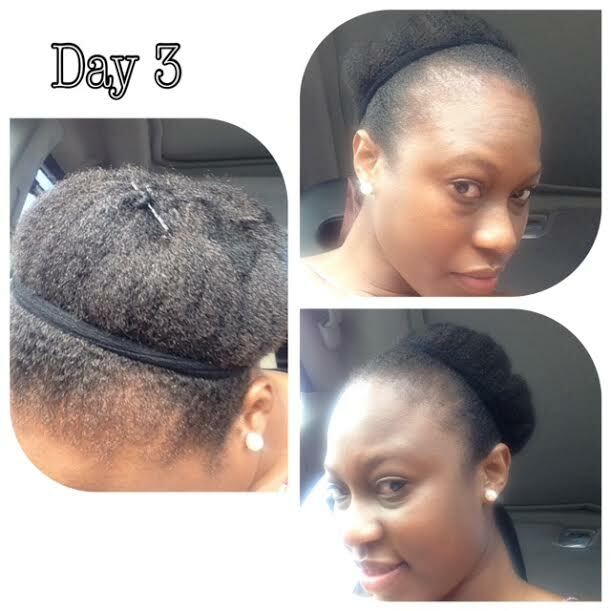 After I had my daughter I attempted to fall back into my texturizing routine and hit a major wall! My hair was limp, thin and had absolutely no volume. It was then that I decided to cut off the texturized ends and just start again. It also helped that I had a daughter because I felt a moral obligation to model this for her. No judgement on those moms who are rocking non natural hair, I’m just doin’ me. I was lucky to have been invited by a good friend to a natural hair group founded by a group of AMAZING girls from my home country of Zambia, called Zedian Naturals, ZN for short. This group is the BOMB! They are supportive, funny and give the kind of love that is only reserved for those who know the struggle. I rely on them for advice, hair esteem and product info and I’ve made some close allies and friends from this group both off and online. These women are doing some RIDICULOUSLY AMAZING outreach by going to secondary (high) schools and teaching girls how to care for their natural hair so when they graduate, so they don’t have to rush to get a perm! How amazing is that!? I wish I had that support when I was their age! You can read all about this via their website here and here. 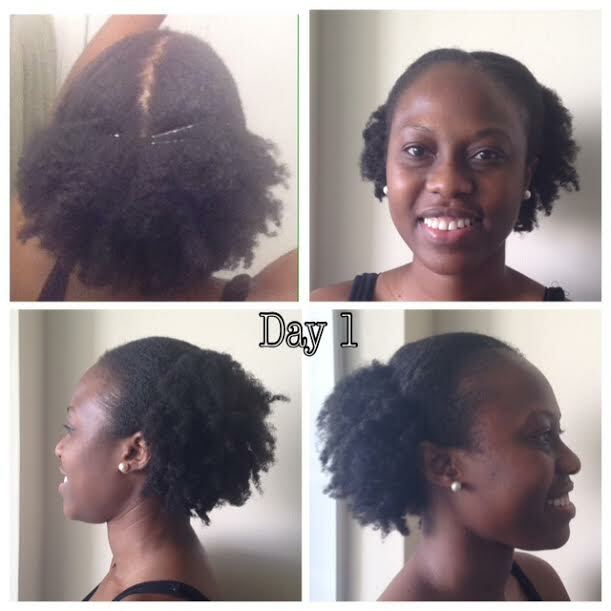 Several times a year, ZN asks for volunteers to participate in a week’s worth of hair challenges to educate other members on how they style their hair and what products they use. I’ve been sitting on the sidelines for a while so this time I coughed up the courage to participate. It helped that there was a giveaway! 😉 You know I love free stuff! (even thought I didn’t win). With an awesome ZN ally in my corner, cheering me on everyday, I was able to complete this challenge and was pretty darn proud of myself. It hasn’t been easy but I’ll tell you one thing, I bloody love my hair!